You still can't buy the HTC One M9 quite yet but it's never too early for an HTC One M10 rumour, especially one that's come from a senior staffer at the company. Taiwan's CTimes claims to have heard from Howard Lee (Senior Director of Project Management and Electrical Structure at HTC) that wireless charging will be a standard feature in the company's next flagship. Presumably that means the HTC One M10 (or whatever it ends up being called), but you never know, it could arrive much sooner in the rumoured HTC One M9 Plus. So far HTC hasn't showed much interest in wireless charging beyond the occasional accessory for its phones, but perhaps the fact that the Samsung Galaxy S6 and Galaxy S6 Edge feature the tech has spurred it into action. HTC also faces more challenges with the tech than most rivals, as metal cases and wireless charging don't typically work well together, so it could be that there'll also be a change to the design of HTC's next flagship. That wouldn't necessarily be a bad thing, the HTC One M9 looks stunning, but there's a sense that HTC has been fairly conservative in its flagship refreshes since the original HTC One and with Samsung almost starting from scratch for the Galaxy S6, HTC can't afford to keep treading water. 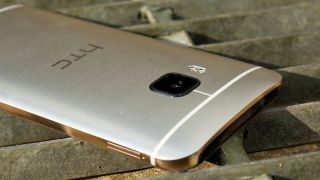 This rumour is such an early one that even with the apparent backing of an HTC official we'd give it a pinch of salt, after all a lot could happen between now and the M10, but it could be a sign that HTC has big changes planned for its next flagship. Wireless charging has so much potential, it's about time it took off.